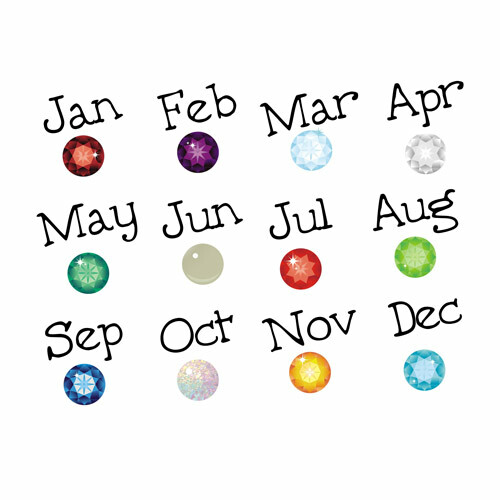 This "My Jewels" personalized sweatshirt is a great way to show off your children and their birthstones.Our Personalized Sweatshirt is available on our premium white cotton/poly blend Personalized T-Shirt, machine washable in adult sizes S-3XL. Includes FREE Personalization! 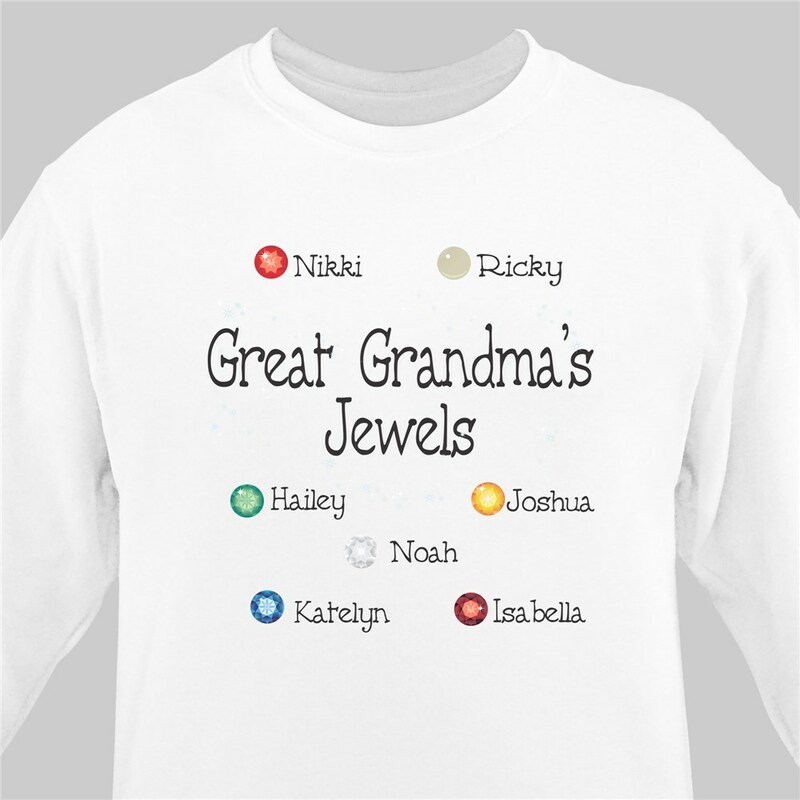 Personalize your mom or grandma sweatshirt with any title and up to twelve names, each with it's very own birthstone jewel. Mom shirts like this one also make for memorable Mother's Day gifts that she is sure to love! Very satisfied. It was very easy to select and it was extremely fast in the time from purchased to delivery. Well done ! I am so proud to wear this sweatshirt and my grandchildren think it is pretty special! GiftsForYouNow.com offers many great Personalized Gifts for Mother’s Day that your Mother or Grandmother will cherish for years to come. We have an extensive collection of Personalized Mother’s Day Picture Frames, Personalized Mother’s Day Shirts & Personalized Keepsakes.